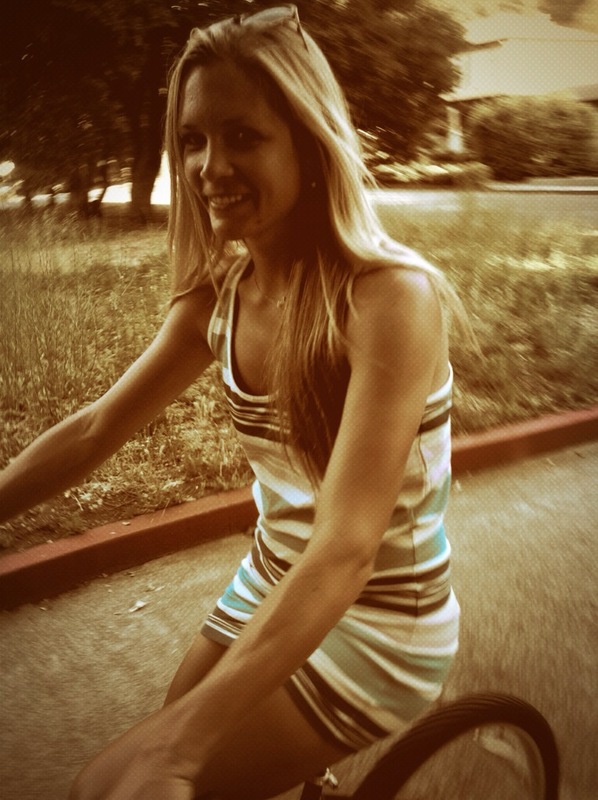 Alison Tetrick is new to Petaluma, but not to the lifestyle. Growing up on a ranch she rode horses before bicylces. It was when she was a triathlete that her passion would turn to cycling. Five years ago something clicked and she realized she was made to ride. After each competition Alison looks forward to coming home to Petaluma and enjoying her surroundings. Alison rides for the TWENTY16 Pro Cycling Team in Marin County. At the end of this interview, you will see a list of her accomplishments, and find out why she made “Carmichael List” which for cyclists is like receiving an Academy Award. Wayne: Your bio says you grew up on a ranch and rode horses before you rode bikes. What lessons did you learn from growing up on a ranch that you practice in your life today? Alison: I was born in Solvang, California, and grew up on a ranch outside of Los Alamos, California until my family moved to a ranch outside of Redding, California in 1998. Living outside of “town” created an irreplaceable relationship with my family because we relied on each other for everything. My sister and I used our imaginations to create entertainment far beyond any television or movie could provide. I learned the value of hard work and that success in life doesn’t come easily, but it comes from dreaming bigger than the sky and working hard to achieve those dreams. My sister is my very best friend, and I think we have a very close relationship because of our childhood on the ranch. Wayne: Do you have any interesting stories to share about growing up on a ranch? Alison: I learned how to ride a horse long before I learned to ride a bike. I would have to crawl up on the fence to reach the stir-ups to get on the horse. I remember rounding up the cows on the ranch and how it was a family affair. We all had specific jobs, and even though I was young, I always felt my job was just as important. By working together, the family could keep the ranch running optimally. Sometimes my jobs would be as simple as feeding the chickens, or checking on the water, but looking back, these were all lessons in toughness, responsibility, and family. 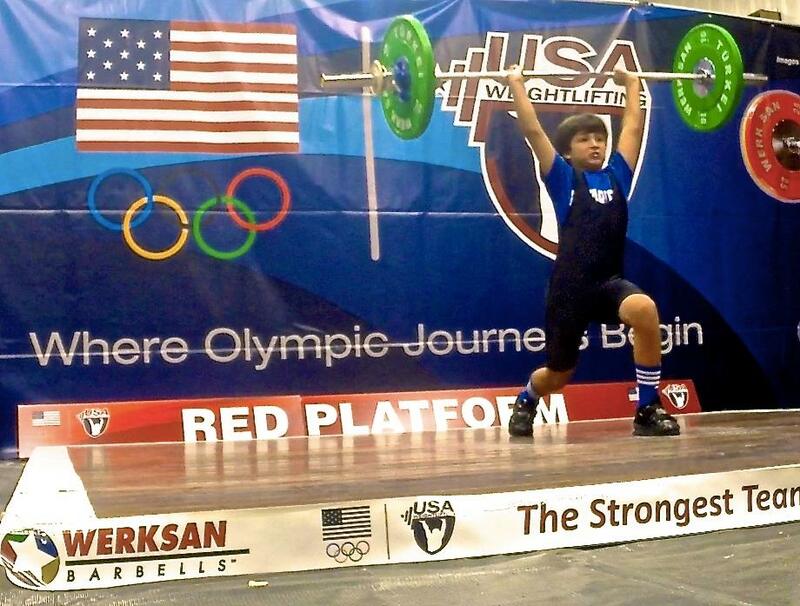 Petaluman William Prokop, a Grant Elementary School student, is the 2014 USA Weightlifting boys U11 National Champion. 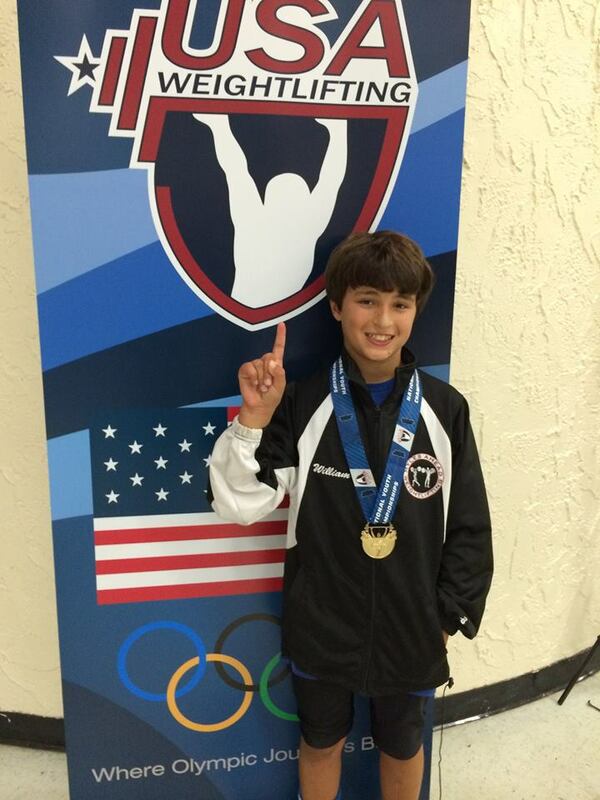 William competed along with over 500 athletes and 302 coaches from across the United States in the national olympic weightlifting championships in Daytona Beach Florida. An annual event, the USA Weightlifting National Youth Championships and Youth Olympic Games Trials featured fierce competition among the elite of American youth weightlifting athletes, all of whom are age 17 or younger. William trains with coach Freddie Myles from Myles Ahead Weightlifting in Petaluma. The Myles Ahead Youth team also won their second consecutive under 13yrs team championship as well as individual championships from Chloe Tacata u15 and Athena Schrijver u13. William also competes for Sonoma County Alliance Soccer u13 boys team and was selected as a NorCal Premier Soccer PDP select soccer player this last season. Positively Petaluma would like to thank Jude Prokop for providing the photos and the report above. Click here to see some recent photos of their team in the Press Democrat. Max loves to chase laser lights. We caught him on video spinning in circles trying to catch it. Why do cats love chasing laser lights? It’s in their predatory nature and instinctive to engage in a hunt. A fast moving dot of light simulates the movement of prey like a mouse. They love movement that changes direction and speed. Living creatures attribute that movement to life. Try not to watch a leaf fluttering down from a tree or a butterfly flying by. Some experts say that this sort of play allows the cat to rid of built up energy that indoor cats may not otherwise get. Some may find that a laser toy is a great way to entertain and exercise your cat. However it should but be done with caution and safety for your pet. Don’t ever shine a laser light in cat’s eyes. This movie documentary is now sweeping across the country and getting notice in national newspapers and by film critics. It is a movie about people who were inspired by Batman and became real life heros. 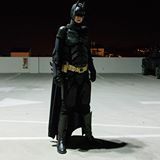 According to their site wearebatman.com LEGENDS OF THE KNIGHT weaves together the uplifting true stories of individuals who have overcome devastating obstacles, unselfishly given to the community, and embraced their inner superhero because of their love of Batman. Here are some reviews of this documentary film. Screenings for this documentary on Batman just started showing up on the east coast and will soon spread across the county. Positively Petaluma has submitted a request to the movie maker to schedule a special screening at Petaluma Cinemas. Proceeds of the screening would go to charity. We will keep you posted on our progress. Petaluma Batman can be seen a segment in this trailer. 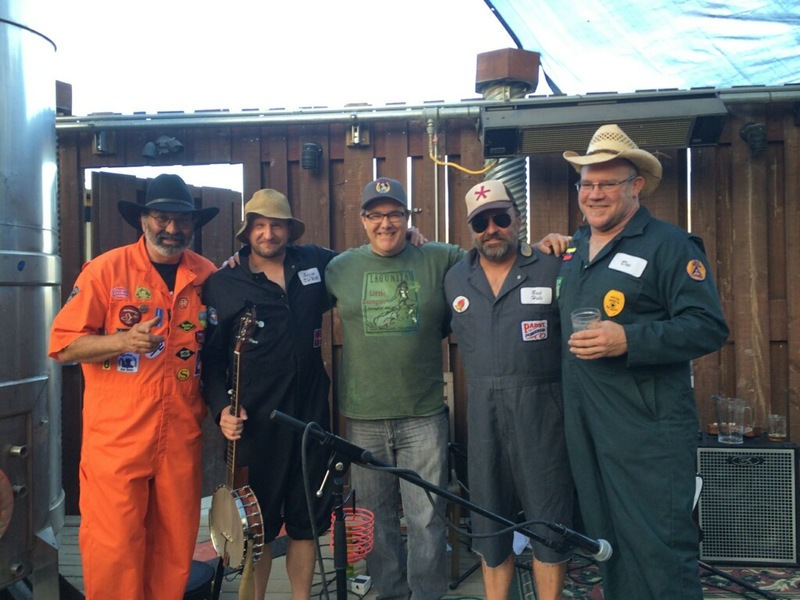 The Gravel Spreaders at #Petaluma’s Lagunitas – Hee Haw Metal??? The Gravel Spreaders, a Bay Area band, made an appearance at the Lagunitas Tap Room (and that’s stating it mildy). The genre of their music, Hee Haw Metal! What? It was so different it draws you in and the crowd was getting into it. You had to pay attention because you had no idea what they were going to play next. The band is made of four members Bud Hole on bandit bass and lead vocals, Buzzy Do-Well on banjo, Dr. Buck Knife playing lead on mandolin and jaw harp, and Uncle Mungar on acoustic and slide guitars. Barefoot, overalls, cowboy and trucker hats you’re thinking country, but then they’re jammin’ tunes like Ozzie Osborne, Aerosmith, Pink Floyd, ACDC. Most shocking to us was a punk song from the Ramones. They fill their songs with comedic innuendos of clever lyrics, blowing raspberries or letting out chicken calls. Lagunitas Tap room has excellent bands on a regular basis, but we have to say that this band had an entertainment factor not seen before and not to soon forgotten. We hope that they make a return appearance in the future. Here is a video of one of their performance of Ozzie Osborns Crazy Train. For more information about this band, click here to go to their website. Author Wayne DunbarPosted on June 22, 2014 Categories News, VideosTags Gravel Spreaders, Hee Haw Metal, Lagunitas Brewing Company, Lagunitas Tap Room, Music, Petaluma2 Comments on The Gravel Spreaders at #Petaluma’s Lagunitas – Hee Haw Metal??? UPDATE: 10/21/2015 Doll House: Jess Brown builds a doll-making empire in Petaluma BY FLORA TSAPOVSKY in the North Bay Bohemian. Update: 8/16/2014 Mother Magazine recently featured INSIDE DOLL MAKER JESS BROWN’S WORLD on August 5, 2014 written by Katie Hintz-Zambrano. In this post there are a lot a great photos of Jess’s home and children. In our searches for great things happening in Petaluma, it’s hard not to run into an article about Jess Brown. Her signature rag dolls are known internationally and she recently released another storybook for children. Growing up in New York and Marin County, she decided to make her home and start her business in Petaluma. Jess tells us that Petaluma is a magnet for creative people and supports entrepreneurial-ism mixed with art. The Jess Brown label for her handmade rag dolls have caught international attention by big designer names as well as popular magazines like Vogue and Martha Stewart Living. In this interview you will get to know Jess Brown more and how this hard working mom balances her busy life. Wayne: What first inspired you to make dolls? Wayne: Do your children have a favorite doll that they have kept over the years? Wayne: Do they have names for them? Wayne: Where did you grow up? This cool video was filmed in #Petaluma using a DJI Phantom 2 drone rc. I did some searching and found some drones for sale on Amazon starting at $1,300. So this artist is using more than just your typical Parrot drone that you see being used around town. As you can see by the photo of this machine it has a drone camera built into it and was made for capturing cool videos like the one you are about to see. I like how this artist added music, motorcycles, hiking together in this production that shows off our hills in Petaluma. Obviously this production took a lot of time and energy. I hope he returns to do more. Filmed on two DJI Phantom 2’s with H3-2D Gimbals supporting GoPro Hero 3+ Black Edition’s. Handheld clips shot using Feiyutech G3 Steadygimbal. Animal Robo – Over the Petaluma Hills from Animal Robo on Vimeo.